continuing the program for this school year and are working to expand to include four more schools, for a total of eight. 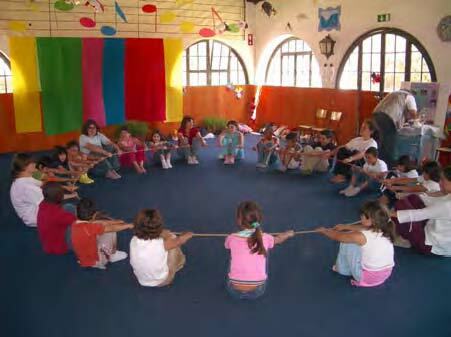 In the beginning it was a hard task, because generally children are used to very competitive activities. We learned a lot from our first year and are now finalizing a file of activities to use this year, using and reinforcing good experiences and changing what did not work as well. Another activity that we developed in the yoga centre, was the “Chapeu de Alquimia” (The Alchemy Hat), a workshop of Yoga and Arts. There were five sessions of 3 hours each session. In each of them there was a theme related with one nature element, yoga asanas and a different art expression. Each session started with a story with yoga asanas followed by exercises of the art of the day- painting, sculpture, theatre, etc. In the last session the parents were invited to take an active participation and they just loved the experience. An outline of the program is included on the next page. We have decided to repeat this project from November on this year. 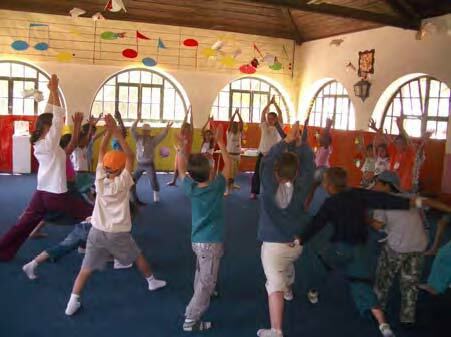 In June 2005 we participated in a big education event, promoted by the municipality – SintrAnima/ Anual – Educative Projects Forum where we shared yoga activities for children. 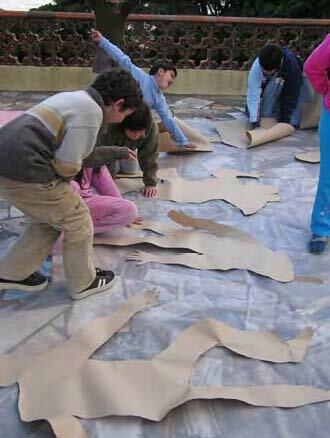 These activities were prepared in such a way that the teachers, kindergarten educators and parents could participate. It was a very fruitful experience. This event had about 20,000 visitors in 8 days. More recently, from 7 to 11 September we participated in the Vegetariana 2005 (vegetarian fair), selling vegetarian food, doing Tantra Yoga demonstrations, offering Yoga activities for children and sharing about Neohumanist Education. We got many students for the yoga courses starting now. In a short period of time we will be able to exchange some didactic material, some examples of good educative practices, etc. We wish great success to all involved in the education projects (and others of course) going on around the world, and for those who are thinking about start something: do it now!